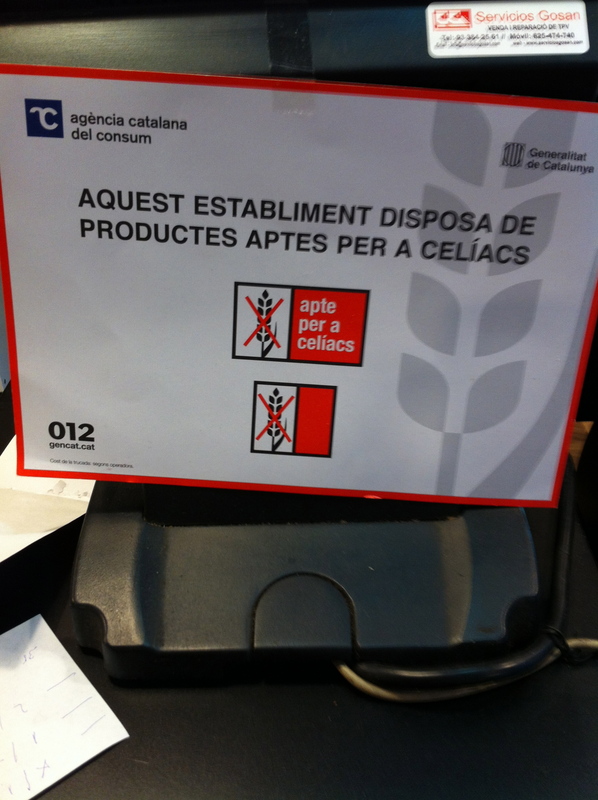 What’s the gluten-free food symbol in Spain? 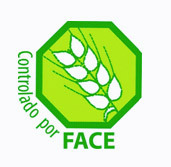 Click here for more information about Spanish labelling for gluten free food. but you know something? There are actually quite a few options available for us. So I guess the first thing to mention is the eating/dining hours. 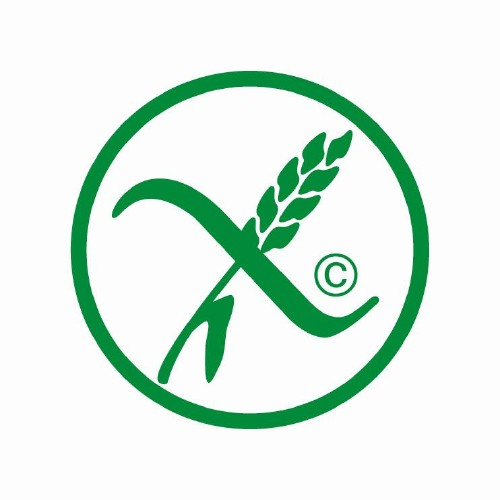 Is there any spanish food that is naturally gluten-free? 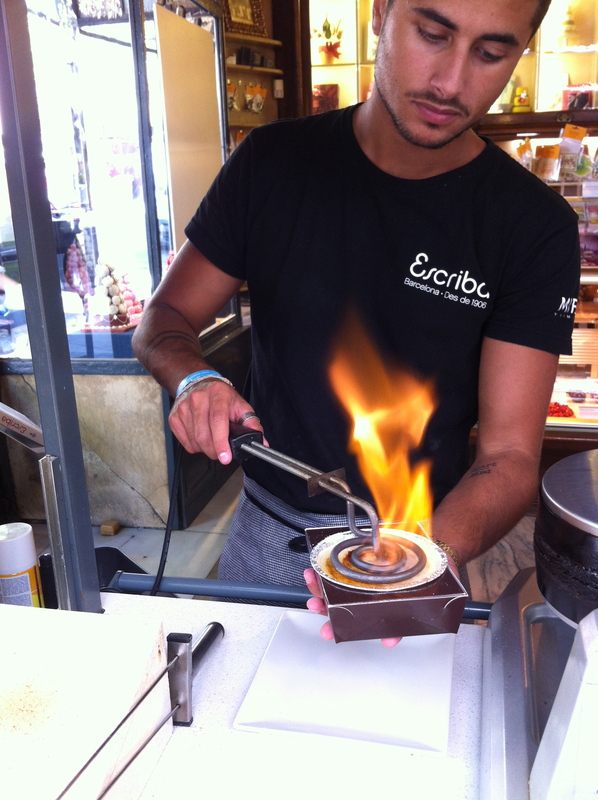 There is actually, paella I guess would be the obvious choice and the delicious crema catalana, which is like a sweet custard dish with creme brulée. 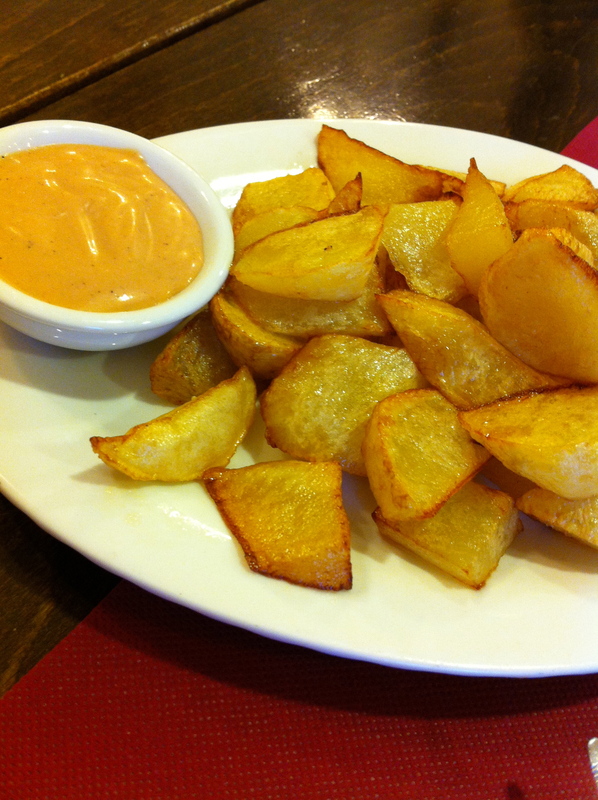 Patatas Bravas (which look similar to the picture above) Potato wedges with a side sauce, but please do check as not all patatas are gluten free. 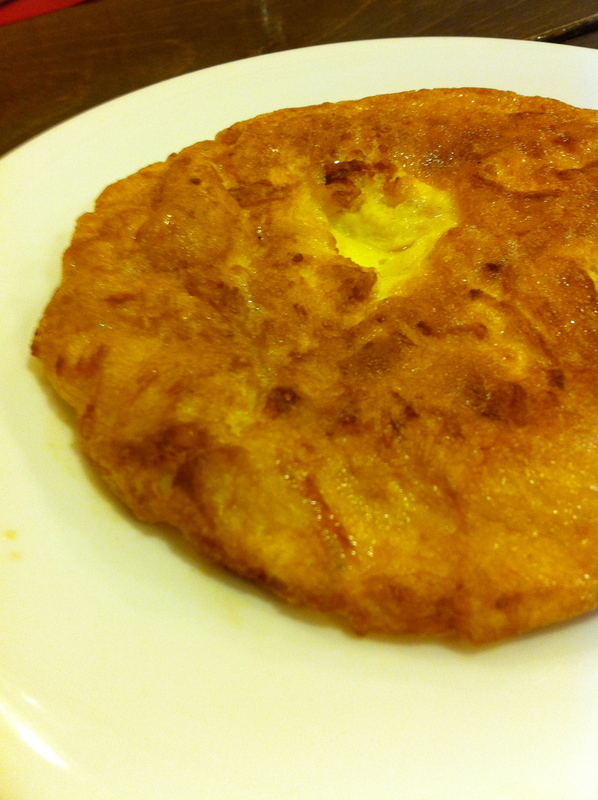 Then we have omelet francés or tortilla francesa; which is basically an omelette made with a number of eggs and fried in a frying pan, if it’s well cooked inside, it’s quite nice and a simple, gluten free option if you want to try some tapas. 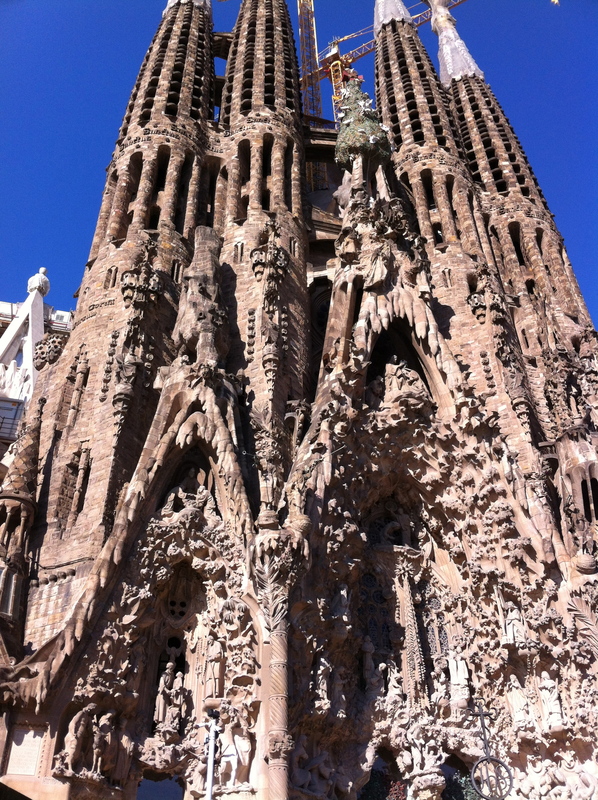 I think my top choice would be Barri Gotic, followed by Sagrada Familia, I wouldn’t bother going inside though, unless you’re a huge fan of Gaudi and architecture. I didn’t think it was worth the queuing, but the outside really is breathtaking in person. The beach – Make sure you go to one while you’re there, there’s a huge amount of choice so pick the one you fancy, preferably one outside of Barcelona because they’re usually less crowded and cleaner. 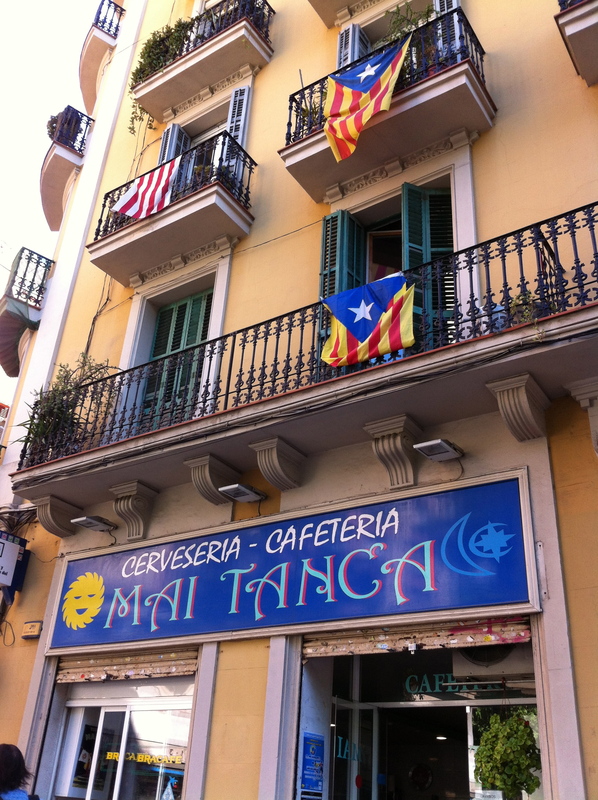 La Rambla – Nice for a spot of shopping, a stroll and people watching but I found souvenirs to be waaay too expensive here. 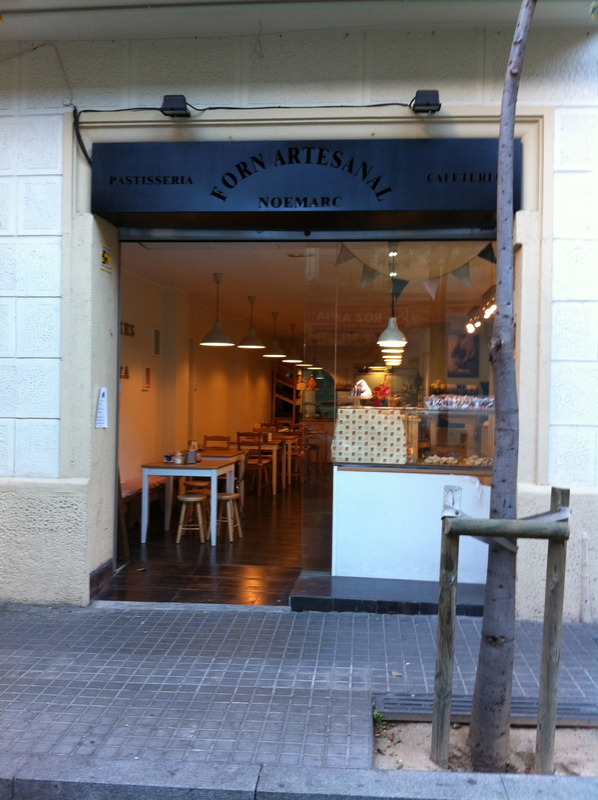 Arenas de Barcelona – This one is my top tip. Go there at night, it’s like a shopping mall with restaurants on the top floor, go to the very top floor where the restaurants are and you get a great view of Barcelona, mainly Plaça Espanya at night time. Don’t take the outside lift, you get charged a euro, go inside and go up for free! 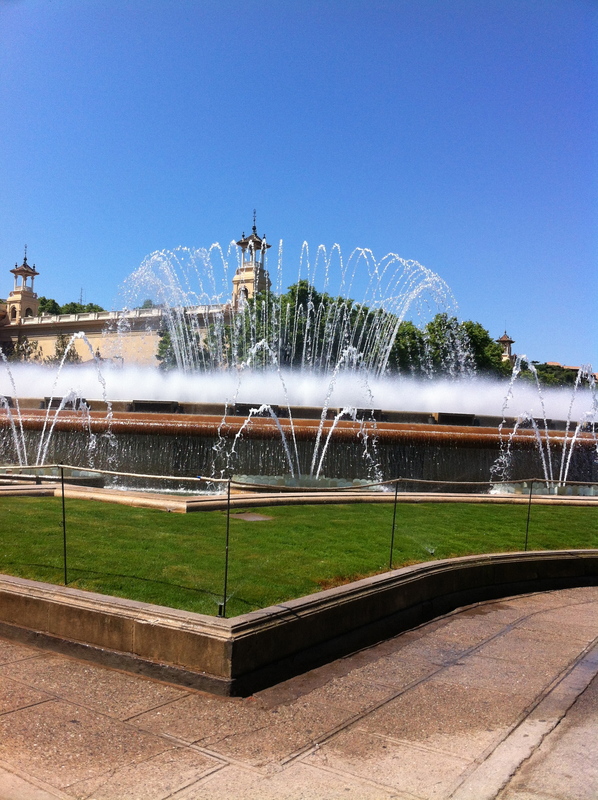 There’s a great view of Montjuïc fountain too. Font màgica de Montjuïc – or the Magic Fountain of Montjuïc, needs to be visited in the day and the night (Thanks for the top Anne 😉 ). It changes colour at night and is located on the old Olympic Park site, which has lovely grounds to explore once you’ve reached the highest part of the fountain, I thought it was a bit nicer at night because it was calmer and the colours are easier to see. 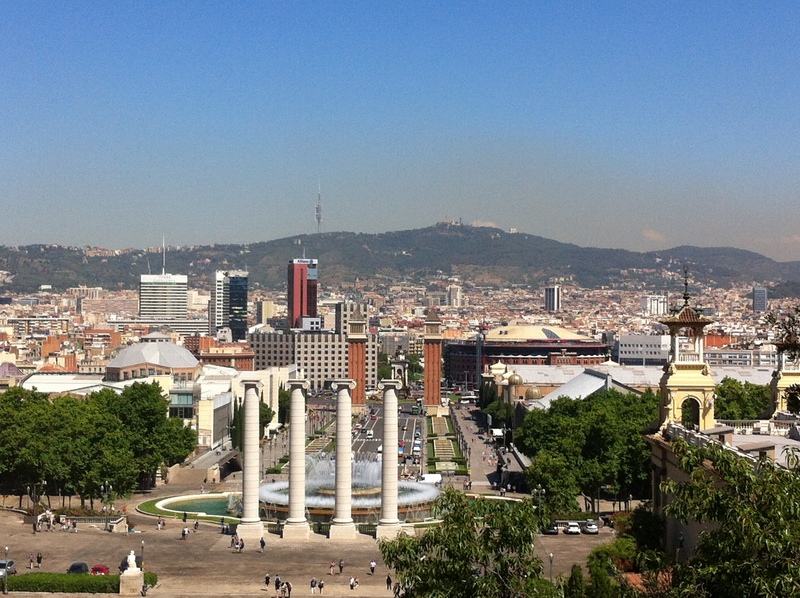 Another great place to see views of Barcelona for free! 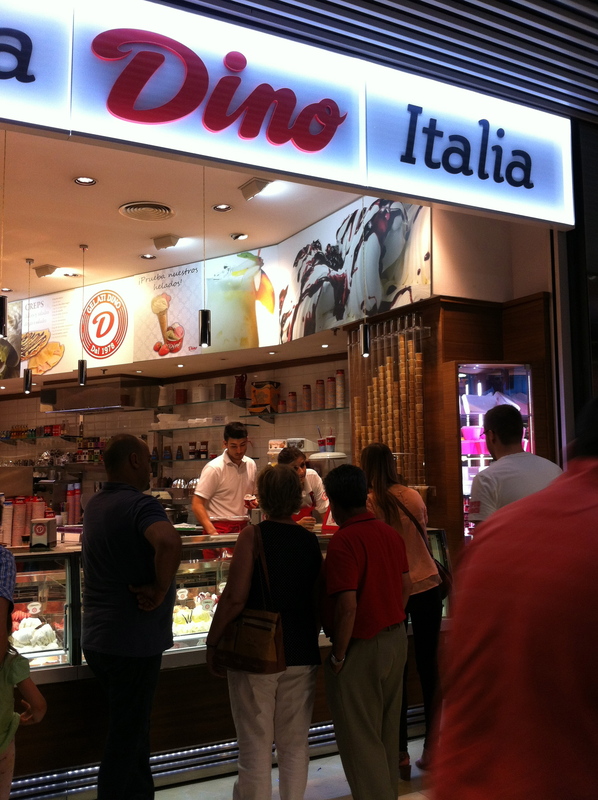 Now the supermarkets were pretty good in Barcelona, apart from the smaller chains, there wasn’t a single supermarket I went to that didn’t have gluten free options. I even spotted something at my little newsagents down the road! 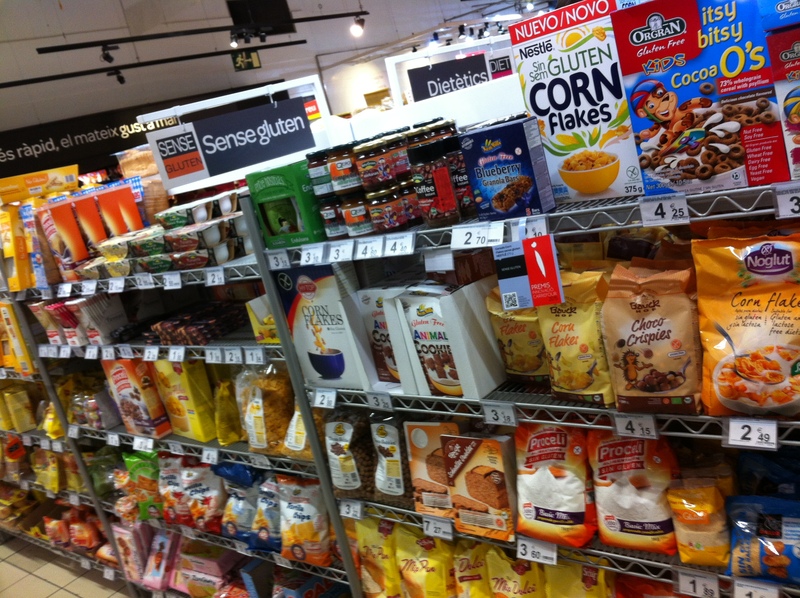 The best supermarket was undoubtedly Carrefour which had a dizzying range of gluten free products, spanish and own brand. The only prob with Carrefour is it isn’t in the city centre. I went there because it was 5 minutes away from the Free From Expo but if you’re central, you may be reluctant to travel out. 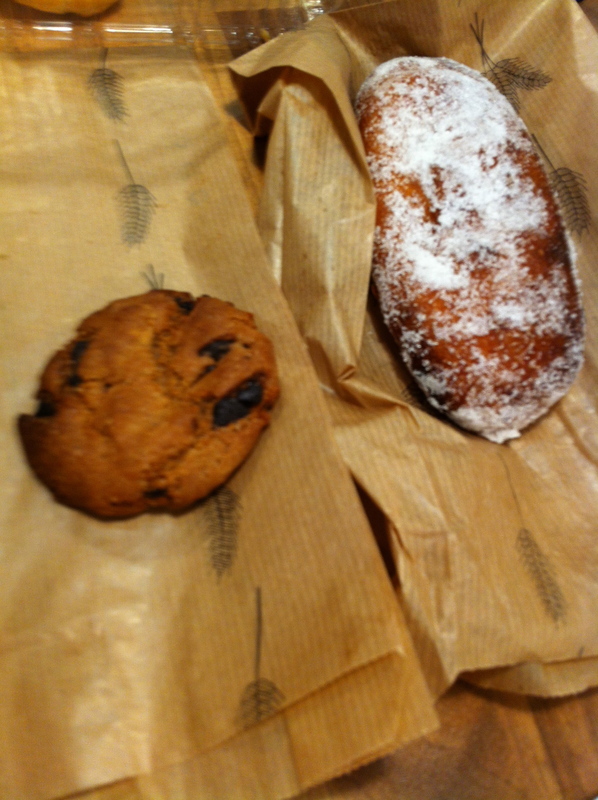 Having said that, they have such an amazing gluten-free selection that it might be worth the trek. Second prize goes to El Corté Inglés which had a decent range but no way near as much as Carrefour, also had a nice freezer section where I spotted these! Yep doughnuts, you just leave them to defrost a few hours in your fridge and they’re ready to eat, no prep needed! 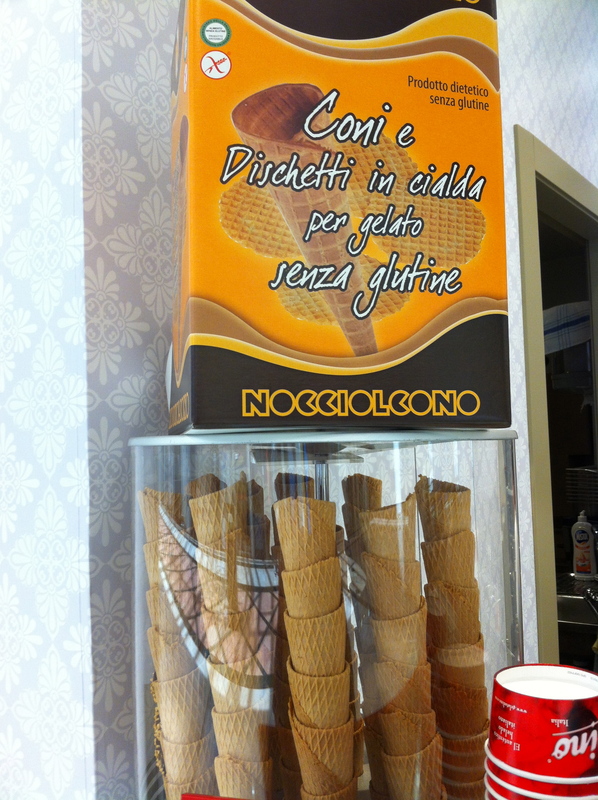 They were pretty good, the chocolate was better than the plain but a decent gluten free dessert option. 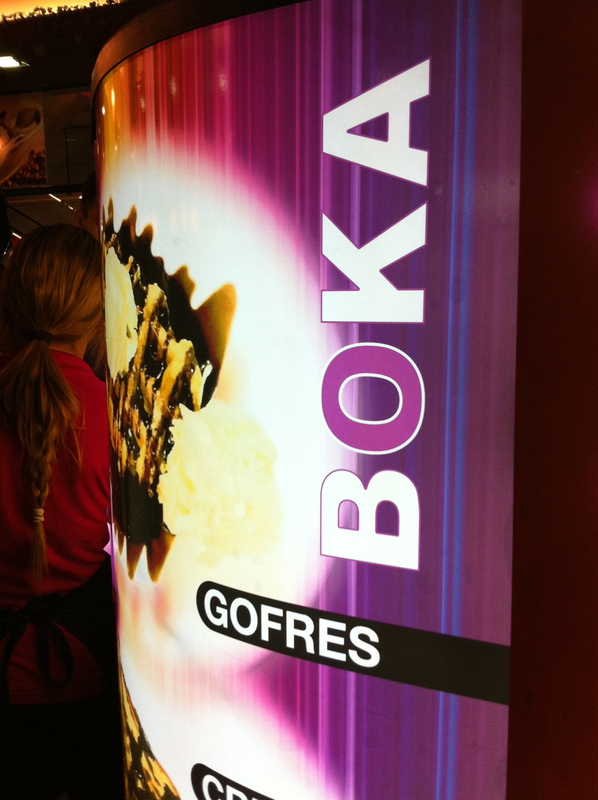 Last but not least in Mercadona, which is the poor step sister of the other two, it seems to get a bad rep in Spain with coeliacs but I thought they had a fair range. 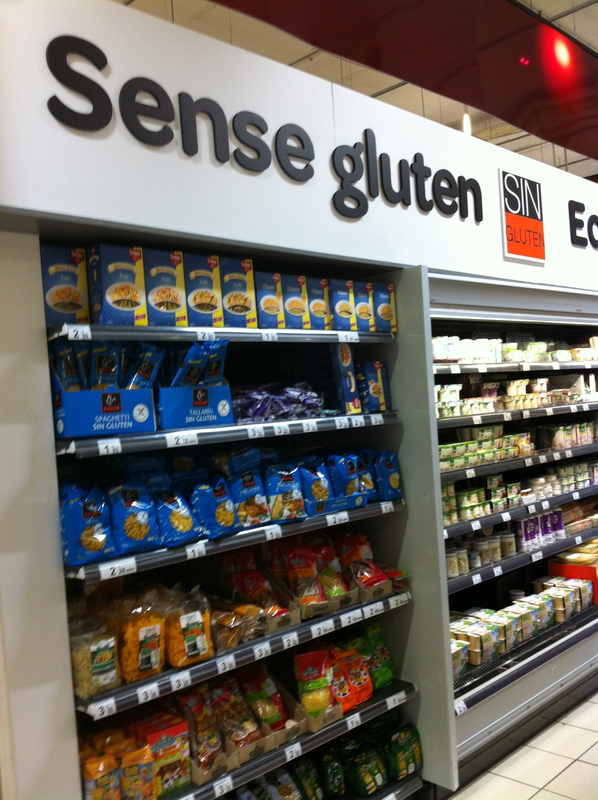 There was a gluten-free section and then lots of other products placed throughout the shop so you need to do a bit of a search. Don’t bother asking the sales assistants cos they didn’t have a clue, just look for the happy green and yellow labels and grab what you need. It’s useful to buy gf snacks for when you miss lunch or you’ll pretty much be starving by 9/10 when it’s official dinner time. 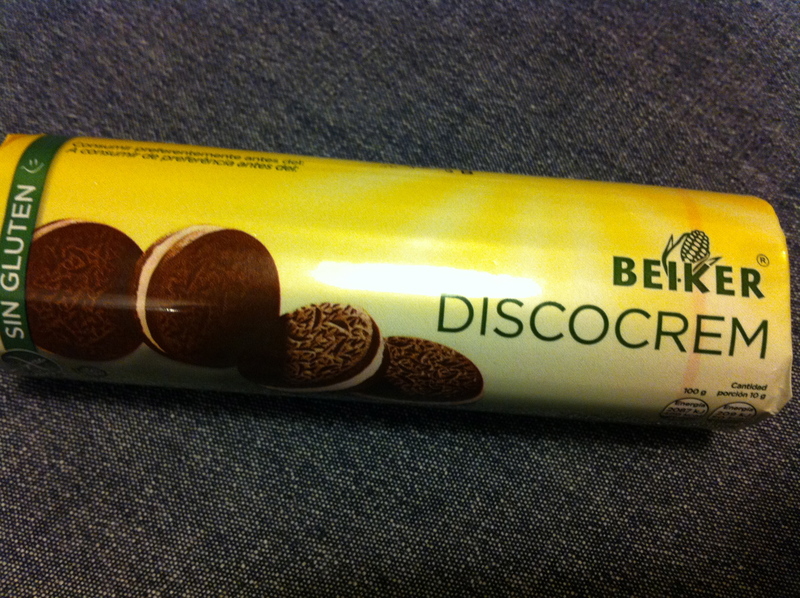 I bought some spanish oreos in Mercadona and they tasted good, slightly bitter but the chocolate was dark or plain but they had a good crunch and I’d buy them again, most importantly they were a really good price! 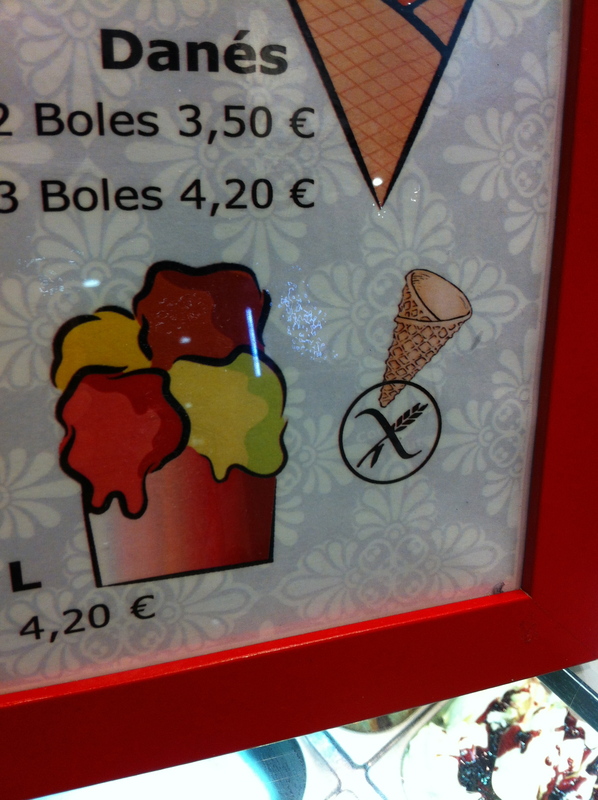 I paid about 2 euros for em. 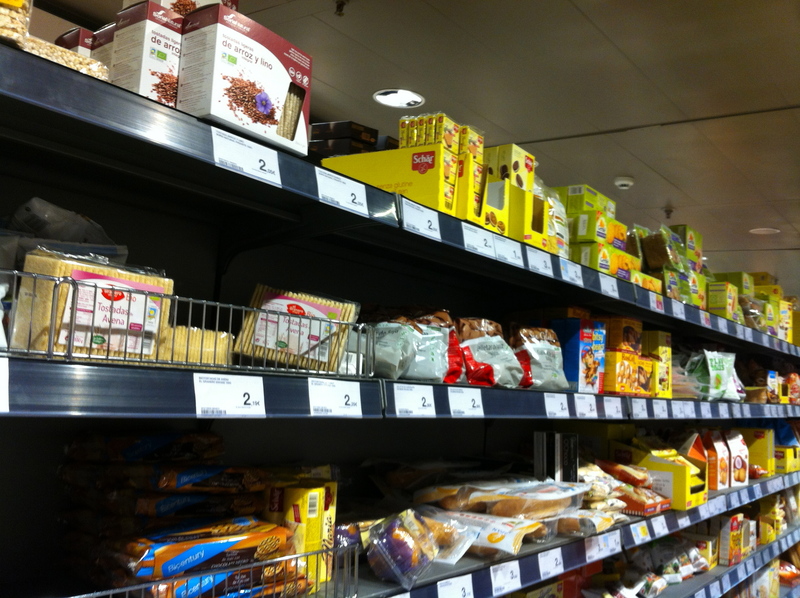 The cheapest gluten-free products of all the supermarkets. Well we have Beiker the brand found in Mercadona, now these guys are actually the spanish arm of the well-known brand Dr Schär, well priced and a decent range, not bad tasting either. I rarely associate the words cheap with gluten-free but in this case you really can. 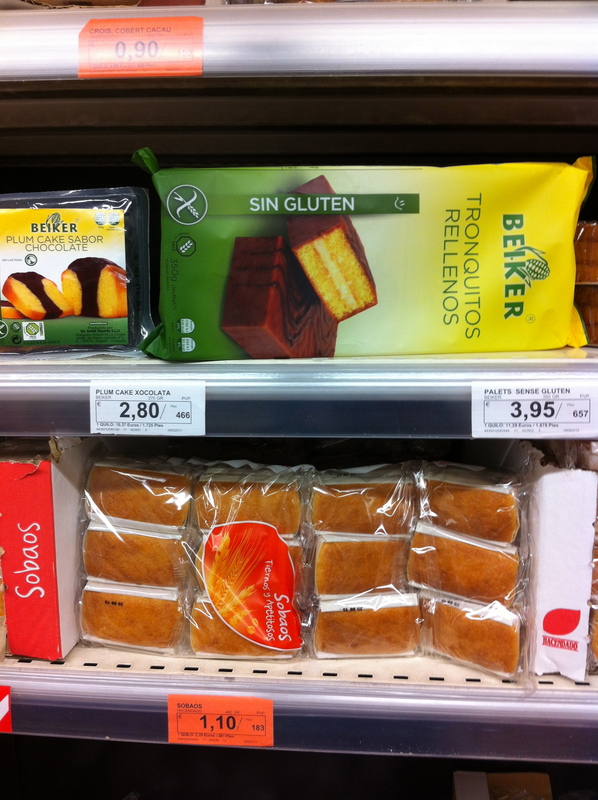 Santiveri/No glut is a common spanish gluten-free brand. Proceli is another brand you can check out. Gullón is a long-standing brand that have a gluten-free range, I find their baked goods aren’t great and the only thing I really like is their chocolate biscuits. 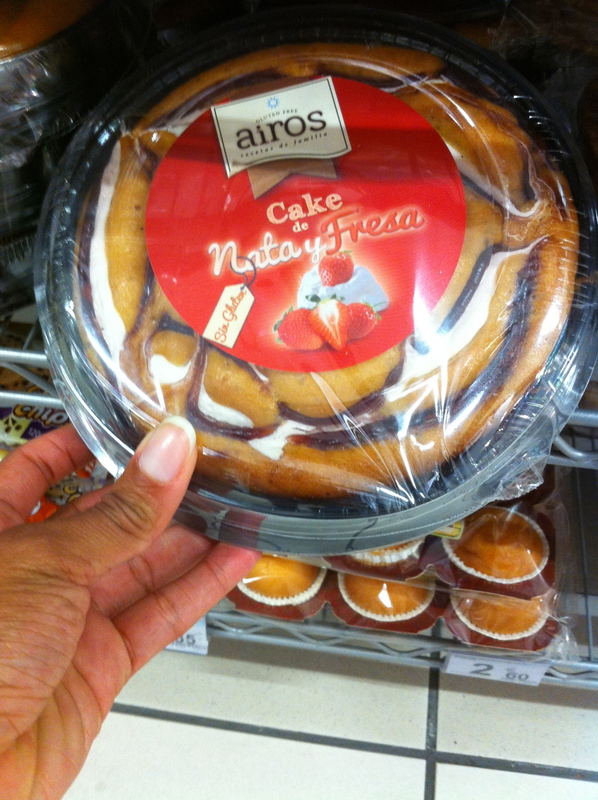 Then there’s Airos, a family owned brand that I discovered during the Free From Expo, who among other things make a number of brioche type cakes that taste absolutely amazing! 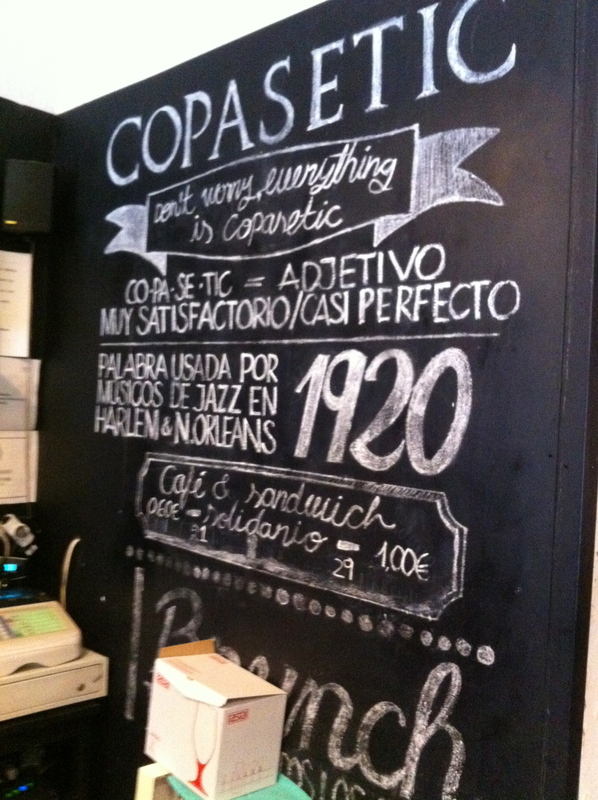 Highly recommended and somewhere you MUST check out if you’re in Barcelona, no matter where you’re staying. but the wait! 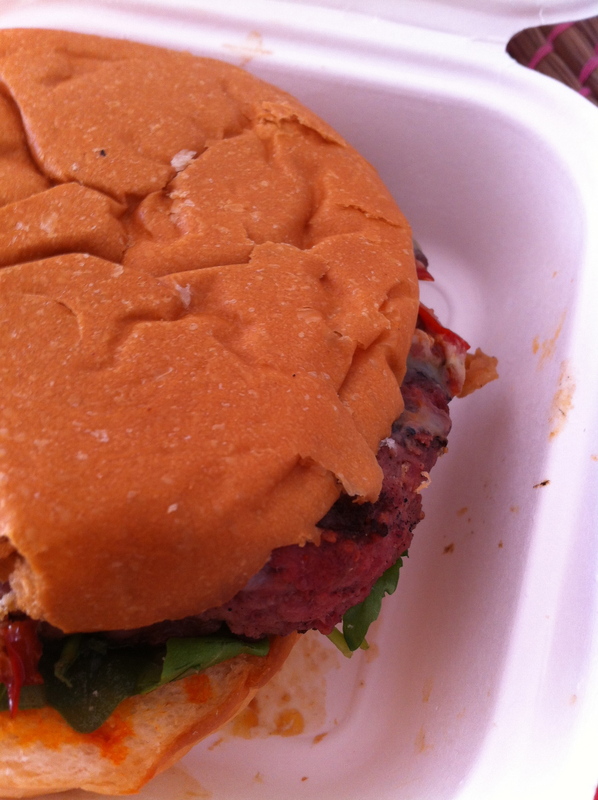 It felt like hours, it was one of those moments where everyone and their dog seems to be served before you, I waited it out, well cos I was hungry, far from my apartment and had no other option and in the end it was delicious,…I wonder if it was their cross contamination policy? Anywho, check it out but be prepared to wait. 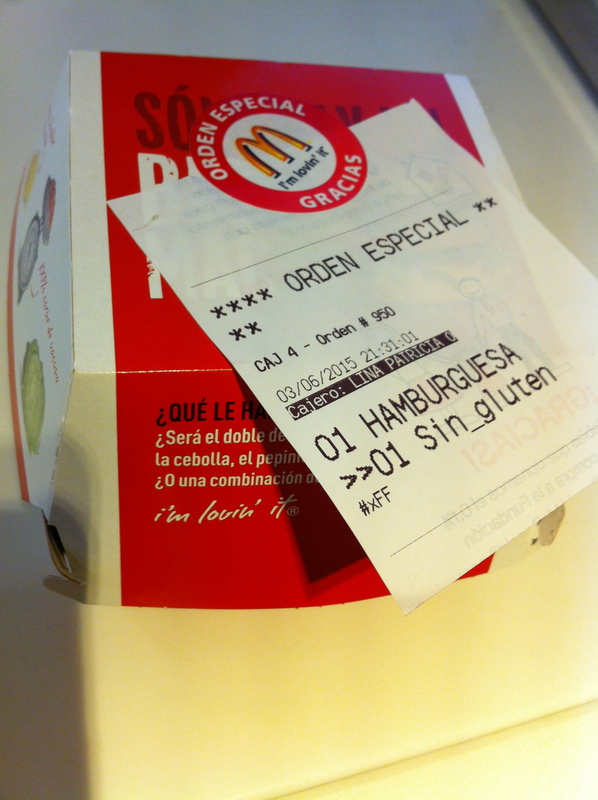 And of course in the era of globalisation, we have the ubiquitous McDonalds. 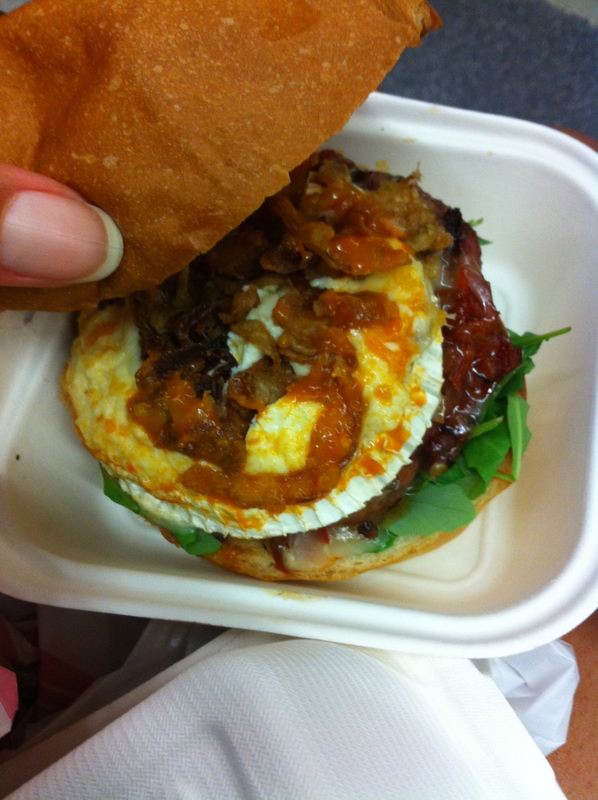 Ask for a gluten free bun and you’re good to go! Mc Donalds isn’t a place I’d generally recommend but for 1 euro a burger, it’s somewhere that’s good to know about if you’re in a fix. 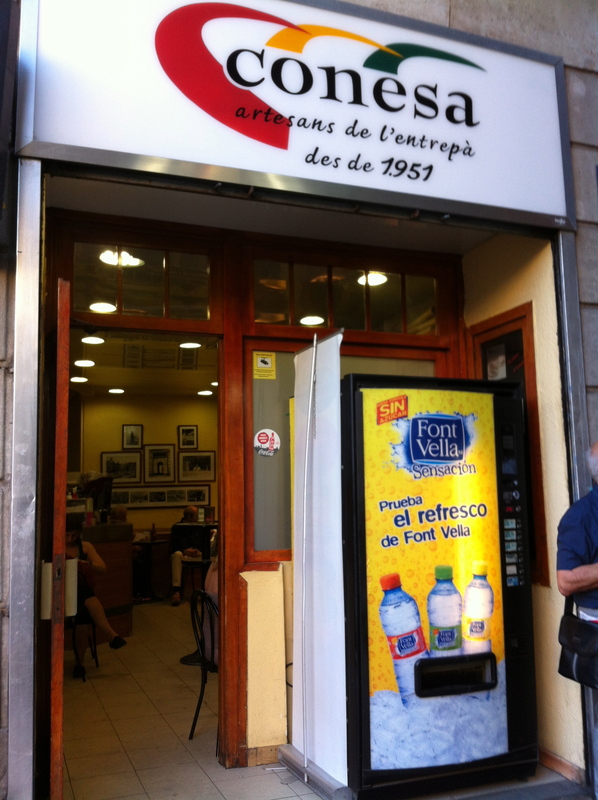 Next up is Conesa, probably one of the most popular and well known places that cater for gluten free in Barcelona and with queues to rival Sagrada Familia, they have panini type baguettes with a plethora of fillings. This is a chomp stop that is worth a look in. 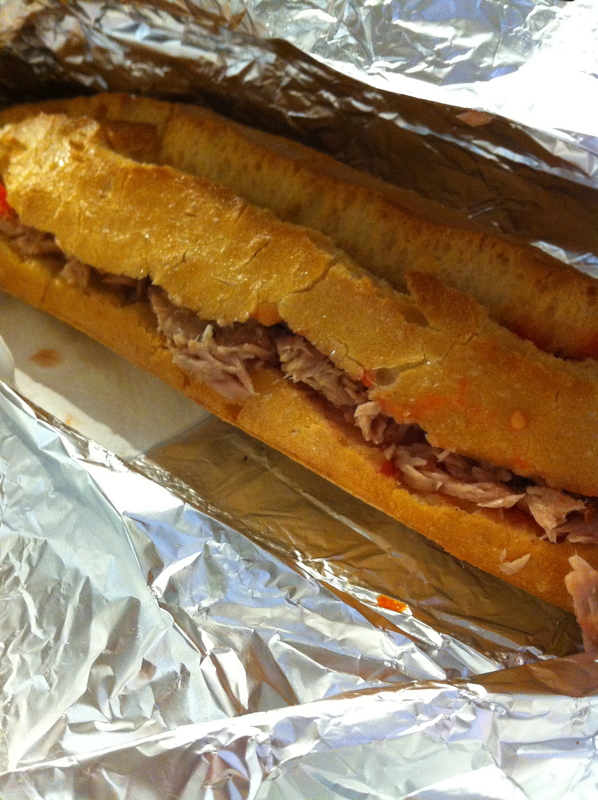 I’m not much of a sandwich person myself and again the wait seemed quite long, but it’s good to know about if you’re on the go and need a quick bite and maybe you’ve missed lunch or dinner. 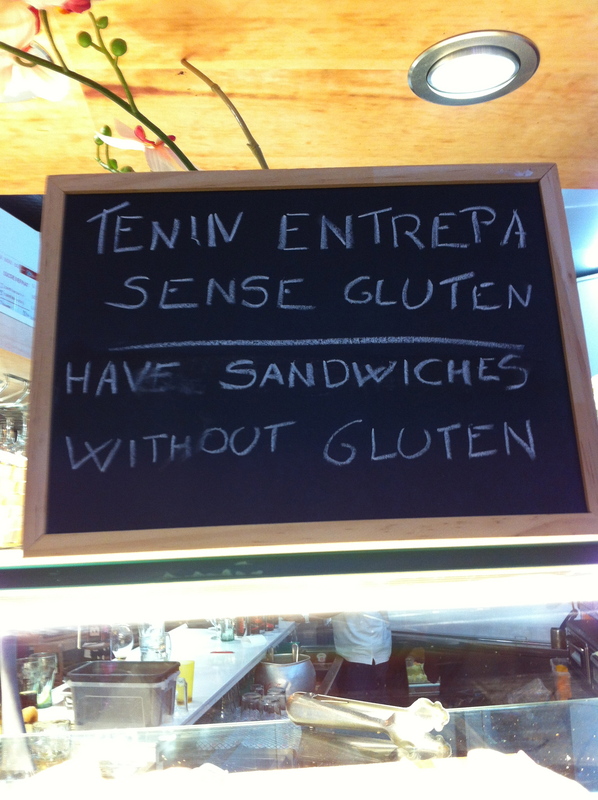 I asked for further info and they confirmed that they did indeed have gluten free sandwich options that looked like actual baguettes, heated and wrapped for your gluten-free pleasure, it was good to know about, again for if you’re in a fix, but I didn’t really go to Barcelona for sandwiches so it’s not somewhere I’d go out of my way to seek out. 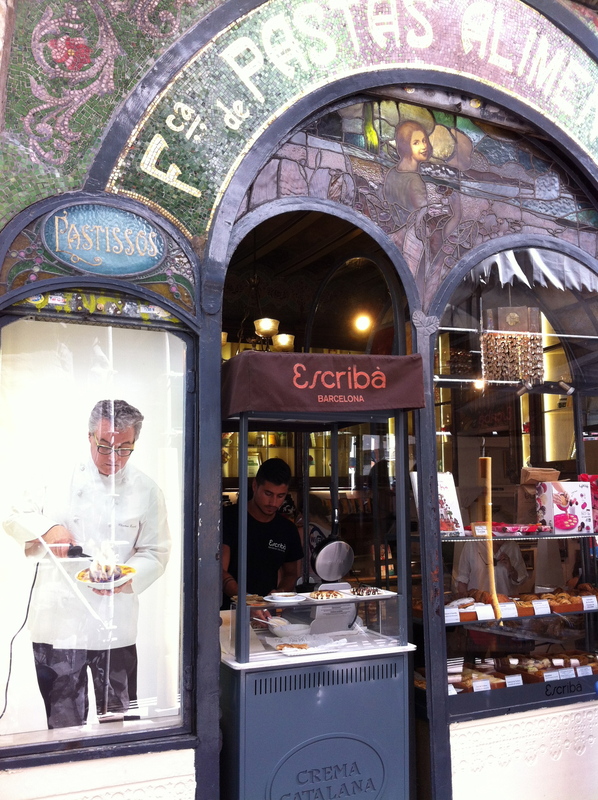 A pastry shop founded by Christian Escribà, famous for his exploding birthday cakes! 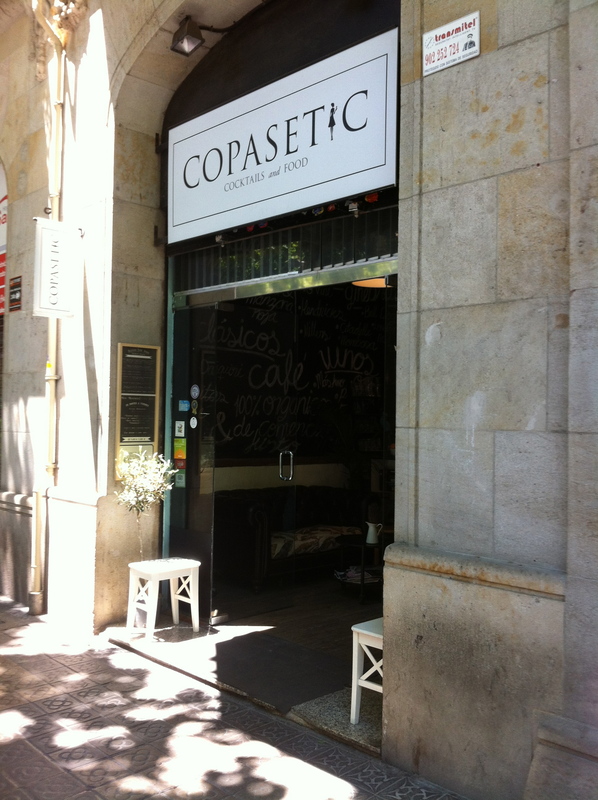 It was featured on Masterchef and is an infamous spot in Barcelona, with beautifully decorated pastries to suit any palate. 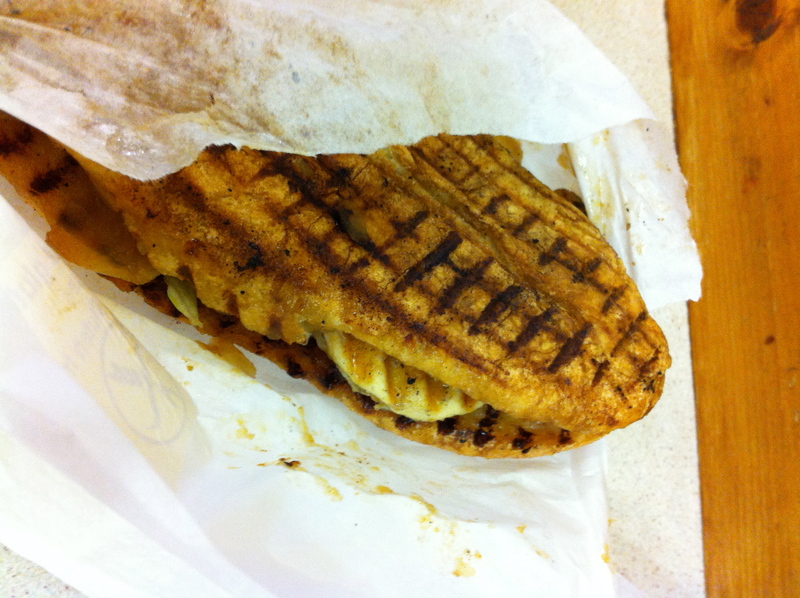 They light it in front of you so you can see the caramel crackle on top and you get a nice hot, cold contrast between the filling and the outer, top layer. 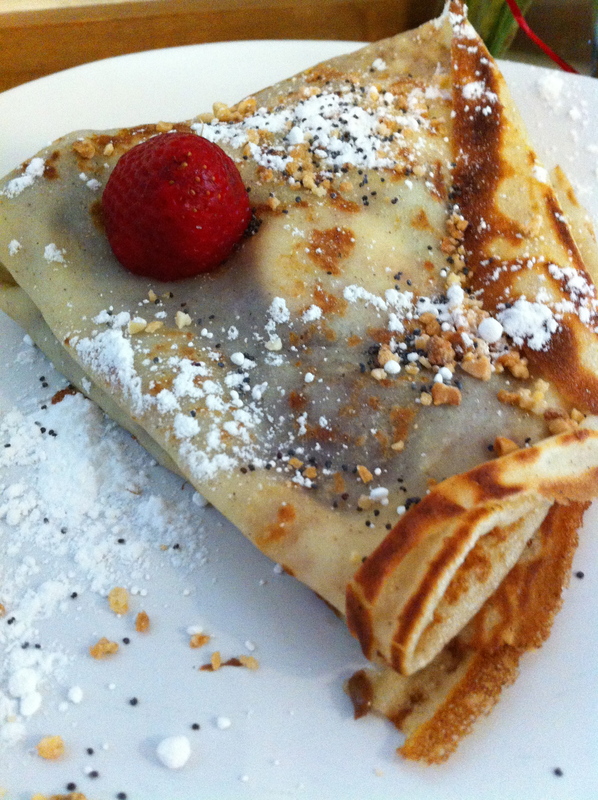 Last but not least we have a gluten-free bakery. 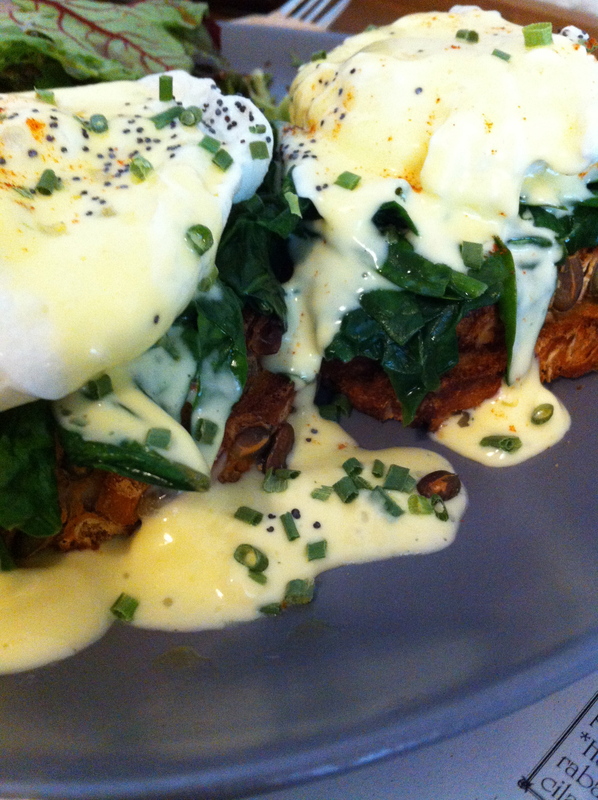 Yes you heard me right, EVERYTHING was gluten-free. 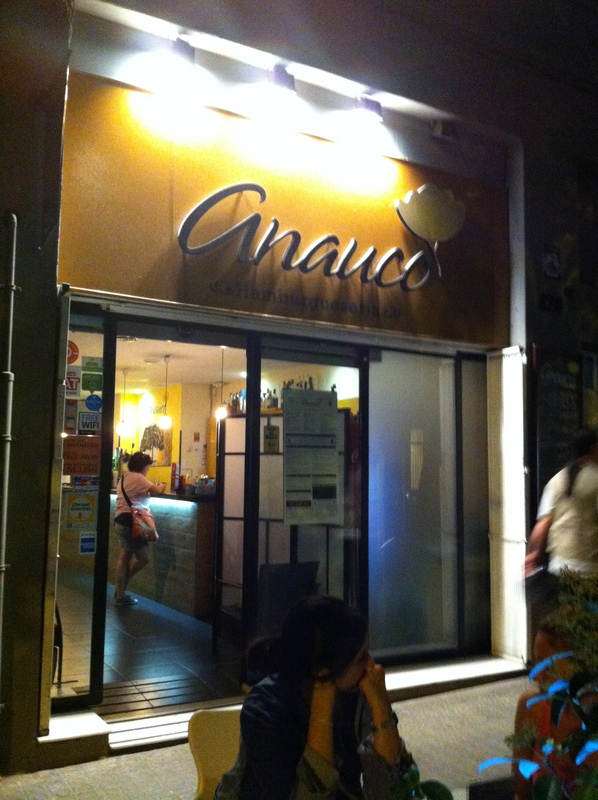 Upon arrival, the owner, however was quite friendly and we had a chat about gluten free in Europe, the U.K. and Spain and a little discussion on The Free From Expo which he had also visited. 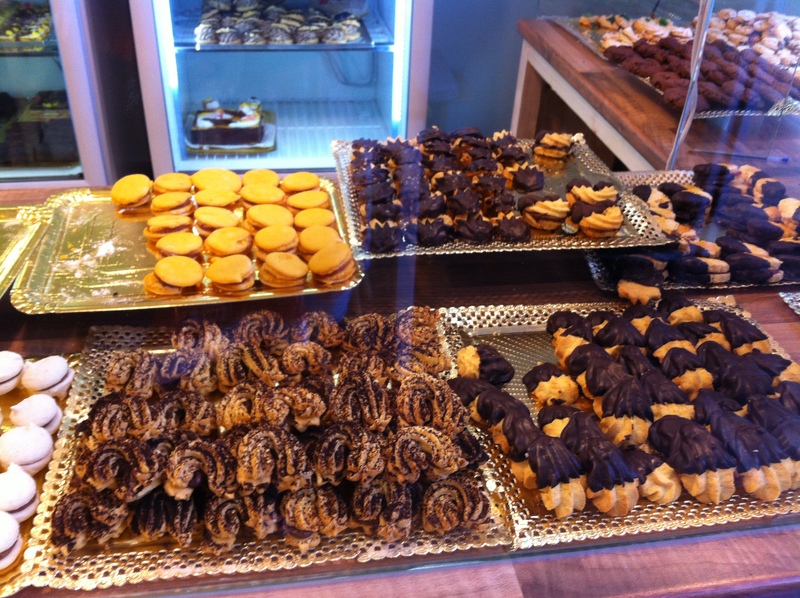 There was a HUGE range of choice, from baguettes, to doughnuts to cream puffs to biscuits and literally everything in the shop was gluten-free. 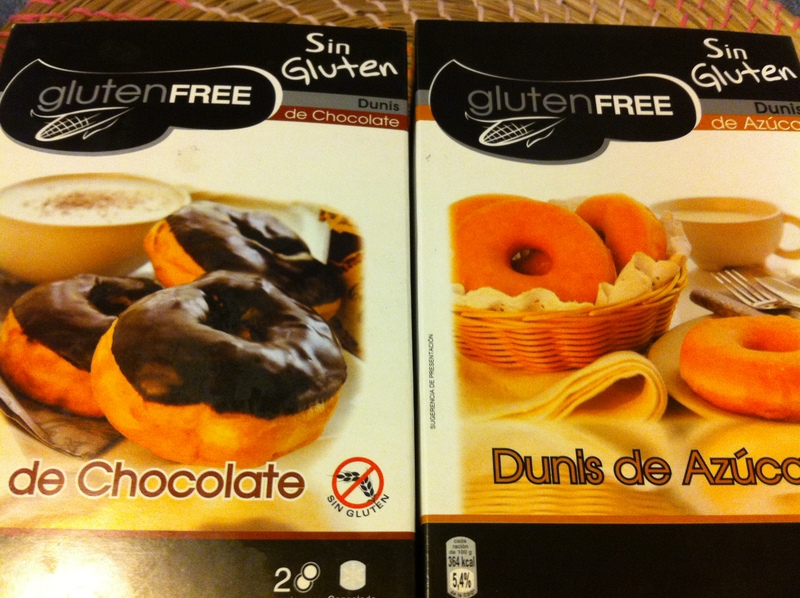 I think that’s about it, there are a fair amount of options available for the gluten-free as you can see. Plus tapas are a possibility but I found it very difficult to find ones that had no gluten in them as many of them are bread based. There are also a number of sandwich cafés in Barcelona that are open outside normal eating times which isn’t so helpful for us, so I’d suggest using this guide to plan your days and hit the supermarkets first and stock up on snacks in case you get caught out!